I just got a Nimble Storage array. Following the instructions it says to go to the Storage Intergration tab......I don't have that tab? I have Enterprise Plus licensing and the latest update. Anyone know how to make that tab appear? 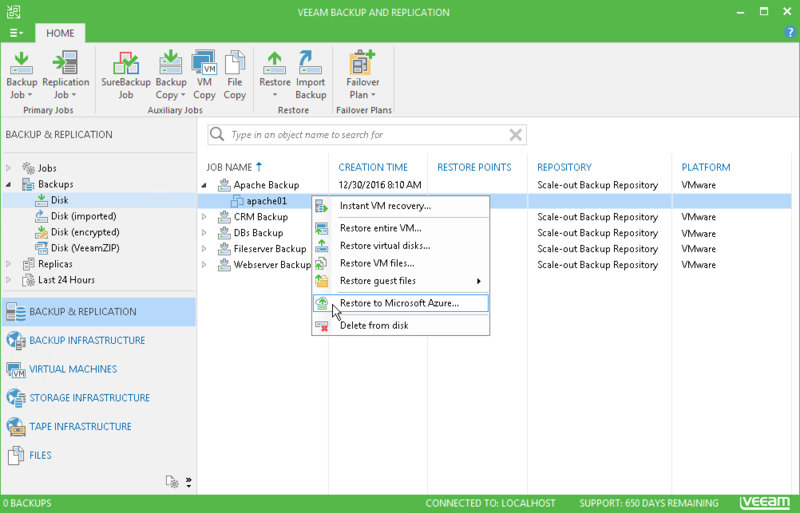 "In the Veeam Backup & Replication console, navigate to the Storage Infrastructure tab, add the Nimble array and enter the array IP/DNS and credentials:"
It appears by default, you may have hidden it since you did not need it before? Might be wrong, but I think it only appears when you add a vSphere host. Did you do that already? I am all Hyper-v house. I hit the arrows. The only thing i have hidden is tape storage. Is storage intergration only a feature for VMware? So veeam can't control snapshot's unless you use VMware. Did i miss some fine print? My understanding this was integration between Nimble and Veeam? I was really hoping to use Veeam to control the snapshots on the nimble. Well i guess i will have to hope they integrate with Hyper-v in the next version. Correct, the integration did not make much sense before - but it does make sense from Hyper-V 2016 onward due to a change in the backup architecture. I believe you are right about the hardware VSS. My Veeam server is a pretty decent box, so i set it up as an off host proxy. It can see the SAN, so in my understanding it should connect the snapshot to it and backup. I believe.